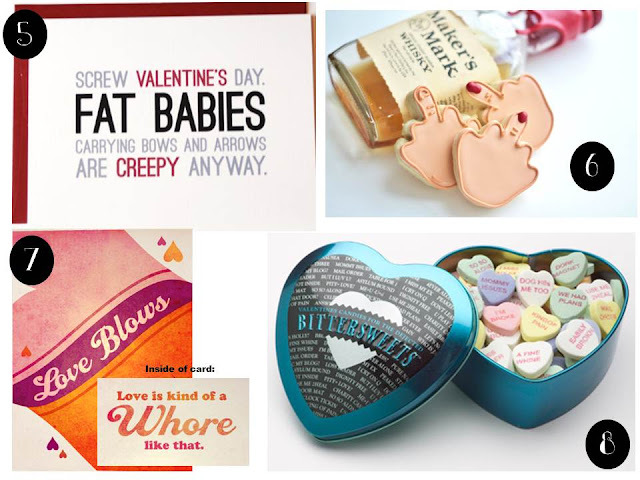 I have a love/hate relationships with Valentine’s Day. I like the pretty pink and red décor and the thought of sharing cards with friends and family…but I hate the whole “You need to buy your loved one a present” thing. I also hate how the holiday can make single people feel lonely. I’ve always loved companies that went “anti-Valentine’s Day” with creative products. Here are some that caught my eye this year. 1. 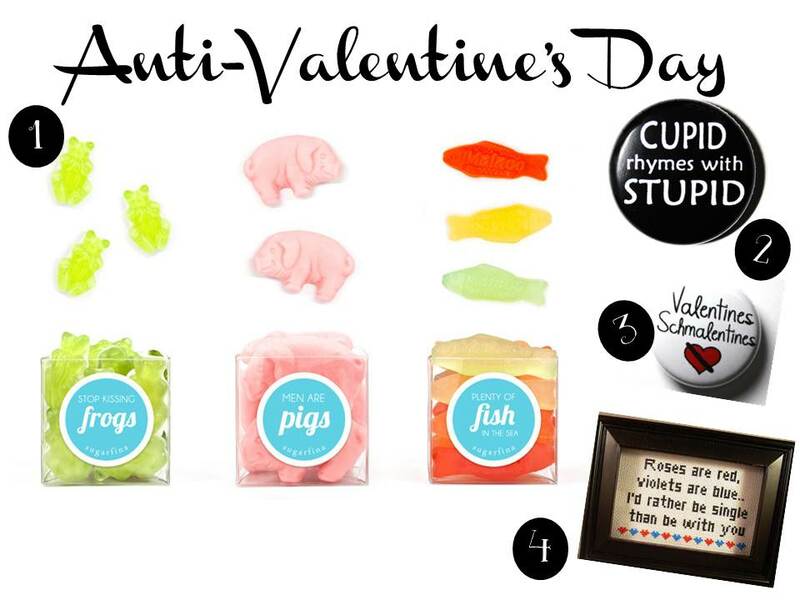 This just may be the best anti-V-Day gift I’ve ever seen. From Sugarfina, it’s simple gummy candy packaged so freaking cute. For $16, the set of three gummies include “Stop Kissing Frogs,” “Men are Pigs,” and “Plenty of Fish in the Sea.” The pretty package also includes a $5 Sugarfina gift card!